A Bikini catwalk show was held on Longwan Beach in the coastal city of Huludao on July 9, as a warm up event for the First China (Xingcheng, Huludao) International Swimsuit Cultural Festival in mid-August, when at least 10,000 bikini-clad beachgoers are expected to create a new Guinness world record. On the T-shape platform, the models showed varieties of well-designed, distinctive swimsuits, presenting the charms of ethnic groups, natural scenes and people's lives, which attracted 5,000 citizens and tourists. Every piece of swimsuit displays its designer's philosophy on life: "healthy, fashion and nature," as well as the fashion trend. The designs treated the eyes of the audience to a grand display of modern art. During the show, nearly 3,000 copies of brochures about the festival were given out, and over 100 people, with great interests and enthusiasm, volunteered to participate in the event for a new Guinness world record. 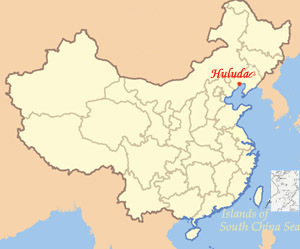 The event aims to promote the image of Huludao both as a tourist city and a swimsuit production base.